​Manchester City are preparing to go head-to-head with rivals Manchester United in the race for Inter defender Milan Skriniar, and are ready to lodge a bid of €100m to beat the Red Devils. Both sides have been heavily linked with a host of top centre-backs, with Skriniar's name one of many to have been suggested. The 24-year-old has excelled since his move to Inter in 2017, with both Manchester clubs said to have tried to sign him in the past, and it appears as though they could reignite their interest this summer. News of​ City's imminent bid comes from AS (via ​Calciomercato), who state that Pep Guardiola is ready to blow his rivals out of the water with a huge €100m offer. 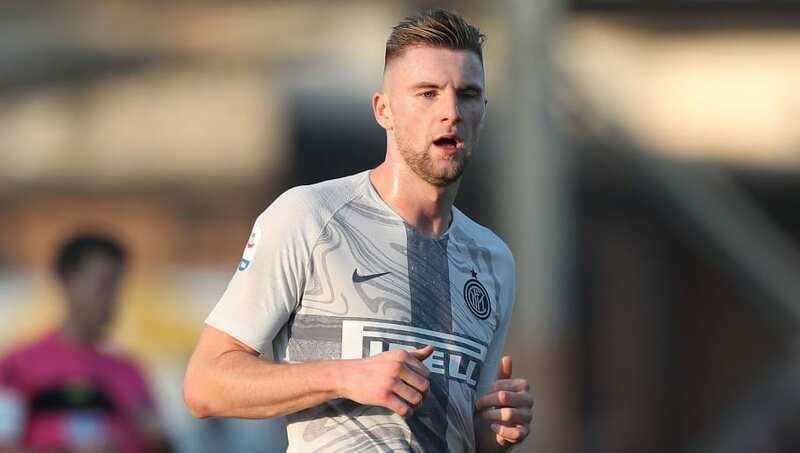 Skriniar's agent has recently claimed that ​Inter ​rejected a bid of €55m from City in January 2018, adding that the club would need an offer closer to €100m to part ways with their star defender, who is also being targeted by both ​Real Madrid and ​Barcelona. Jose Mourinho was thought to be a huge fan of the Slovakian, and now Ole Gunnar Solskjaer appears set to continue his interest into the summer, as he looks to bolster his defensive options. However, with City reportedly preparing to flex their financial muscle, ​United may be forced to look elsewhere. ​Napoli's Kalidou Koulibaly has also been the subject of reported interest, whilst Ajax wonderkid Matthijs de Ligt remains high on the wish list for both sides. Should City secure the expensive signing of Skriniar, it would likely smash their current transfer record which stands at £60m, after the signing of ​Riyad Mahrez from ​Leicester City last summer. Guardiola is looking for younger defenders to cement City's place as one of Europe's top sides for the foreseeable future, with both Nicolas Otamendi and ​Vincent Kompany approaching the latter stages of their careers. He is said to be infatuated with De Ligt, but any deal for the Dutchman would certainly be tough, with the likes of ​Bayern Munich and Barcelona keen on a summer move. As a result, Guardiola has set his sights on Skriniar, and is seemingly not prepared to accept defeat.